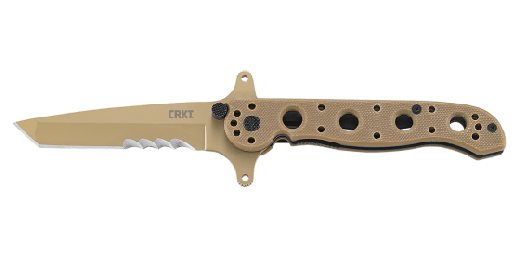 The Special Forces G10 models share a unique design offering a combination of Carson M16 Series features requested by military procurement specialists. 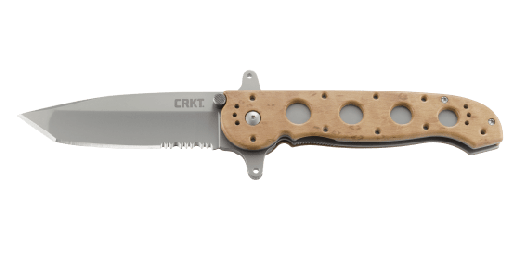 The dual grind Tanto blades were specified because they offer maximum strength. The open build allows two Carson Flippers to be incorporated, resulting in a true hilt— very rare in folding knives. 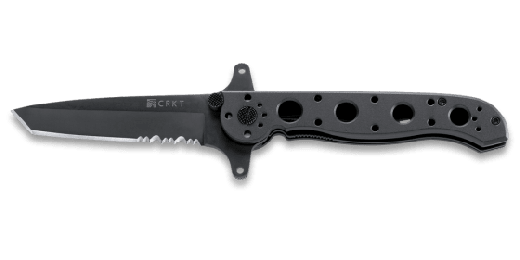 The M16®-13SFG Slim Profile G10 features a 3.50" (89 mm) dual grind Tanto blade and is ideal when weight and bulk must be kept to a minimum. 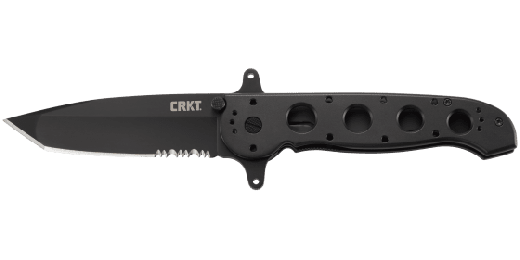 Blade, frame and hardware are non-reflective tactical black. The blade receives a black titanium nitride coating for maximum corrosion resistance. Kit's trademark dual checkered thumb studs are standard. One-hand opening and closing is quick and smooth. It also features our automated liner safety. Automated liner safety is the locking liner safety innovation taken to the next level. The automated liner safety sets a pin between the locking liner and the frame. This pin acts as an additional layer of safety, so the locking liner is less likely to disengage during use. To close the knife, pull the red buttoned safety lever back, slide the locking liner over, and fold the blade into the closed position. Want one of the most secure safety systems on the market? The choice is automatic. Our G10 model features scales of black G10, stainless steel liners with friction grooves and a premium 8Cr14 stainless steel blade with our Combination patented (2) Veff™ Serrations. G10 is often preferred for its aggressive gripping texture, light weight, and superior insulating properties. 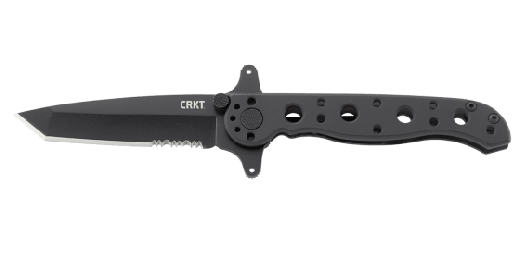 All knives in this series are equipped with clip options that allow four-position carry on belts or webbing. Caution: These knives are not designed for tip-up in-pocket carry. 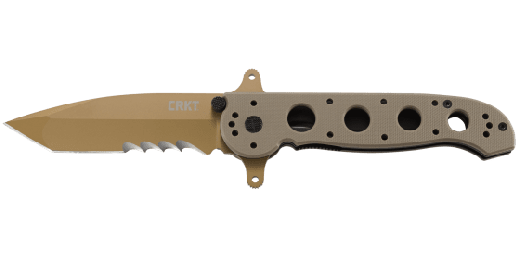 They are special knives, designed by the military for special forces use.